Imagine San Diego’s special events or major construction projects without the benefit of traffic control. Big mess. Big headaches. And plenty of tardy slips. Relax. This scenario is impossible with Roadway Construction Service on the job. Providing San Diego traffic control services 24/7, RCS is determined to keep this metropolis moving night and day. And we always succeed. No matter what the job, requirements, or conditions, RCS is ready to meet the challenge with a full spectrum of turnkey traffic control services. We cover it all – single lane closures, multiple lane closures, two-way flagging operations, freeway lane closures, ramp closures, construction notice sign installation, and concrete & water-filled k-rail installation. It’s no exaggeration to say that RCS is ready for anything. And by ready for anything, we’re including all those little surprises — like burst pipes and other municipal emergencies that seem to occur at the most inconvenient times. When critical needs arise, you can count on RCS to be there in flash with emergency traffic control services – no matter when or where it happens. We’re on call round-the-clock, 24/7/365. 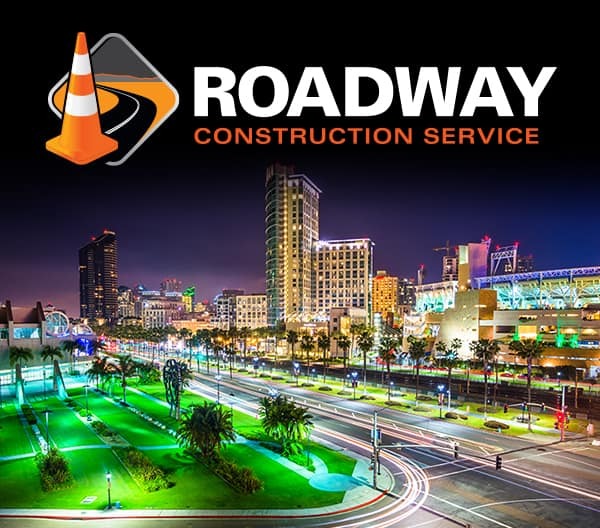 Of course, the foundation of our San Diego traffic control services is the highly-regarded RCS team. Our personnel are distinguished by both their high qualifications and their industry-recognized safety certifications. Our ATSSA-certified traffic control technicians and supervisors are just one of the many examples of our commitment to safety. Long before the first traffic cone touches ground, RCS strategists map out an air-tight traffic control plan. A solid plan demands intensive information gathering in order to pinpoint things like – what are the expectations of local officials? For the answers, our strategists connect with city decision makers to identify their needs. The information is subsequently compiled and coordinated with the requirements of every single organization involved with the project. Nobody said it was easy. But at RCS, we wouldn’t want it any other way. If you’re interested in learning more about our range of services, contact RCS for a complimentary consultation. You’ll soon discover why we set the standard for San Diego traffic control.